This batch of recently green-lit games looks fantastic, and not just because it includes the game development simulator where piracy battles piracy. Let's take a closer look at the upcoming games that will eventually release on Steam, shall we? "An action platformer focused on stylist, acrobatic dodging and fluid, challenging gameplay." "Start your own game development company and replay the history of gaming in this business simulation game. Start your business in a garage in the 80's." "A unique mix of RPG and strategy set in a realistic medieval world, Legends of Eisenwald combines dynamic campaigns with fast-paced, yet strategic, turn-based combat." "As the economical crisis advances, the discontent of an entire population cannot help but outburst in Riots, where the sounds of many voices get heard at once." "Stardew Valley is an open-ended country-like RPG with support up to 4-player co-op!" 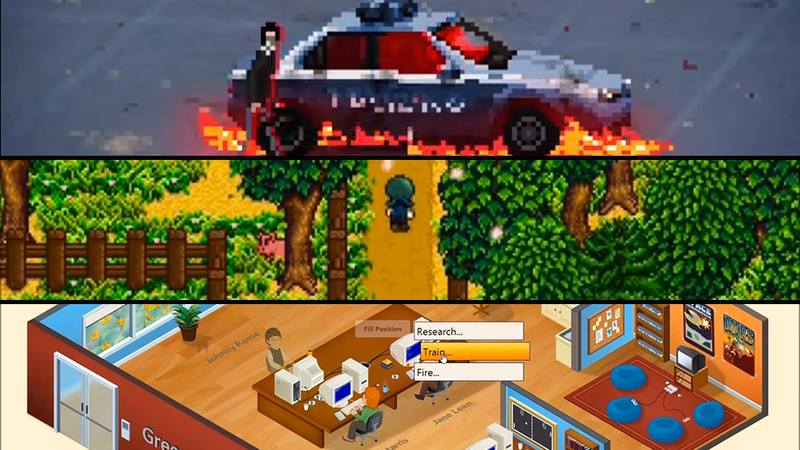 I think I'm looking forward to Stardew Valley and RIOT the most, what about you?